Not from New England? We can travel to YOU! If you are interested in setting up an initial consultation or receiving more information from New England Dyslexia Solutions, please fill out the form below. For specific driving directions, visit http://tinyurl.com/BNTPdirections​. 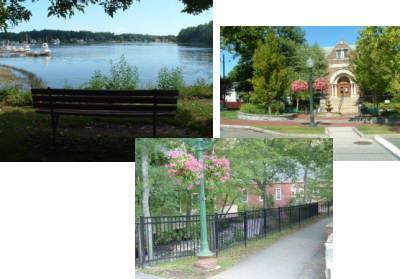 Located in the beautiful and historic town of Amesbury, MA, New England Dyslexia Solutions' office is convenient from the North Shore MA, Seacoast NH, and Seacoast ME. Situated in the heart of downtown, Amesbury provides easy access most New England locations via both 95 and 495. ​Office hours are by-appointment only. Wifi and work space available for client parents. Free parking is plentiful in our building's parking lot! Take a walk along the Pow Wow River or the beautiful Rail Trail on breaks or lunch. Just a stone's throw away from our building. Visit Alliance Park on the beautiful Merrimack River or Maudslay's State Park (boasting miles of wooded trails for walking). Downtown Newburyport also has great restaurants and shopping within a 10 minute drive. Many clients have stayed at The Market Street Inn, which has beautiful, fully-furnished apartments - available to New England Dyslexia clients at a discounted rate. Please mention New England Dyslexia Solutions when inquiring.